This cardigan is made with the best baby alpaca fiber. This cardigan is made with the best baby alpaca fiber and has a beautiful crocheted butterfly handmade application. Alpaca fiber does not break, fray, stain or create static, it is easy to wash. 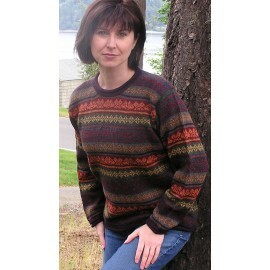 The alpaca is a lightweight, warm and durable fiber. It has nothing to envy to cashmere in softness and beauty. I wear the sweater in cool weather when a coat is not yet needed. My life style is casual but this sweater is definitely suitable for dress. 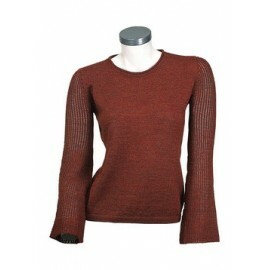 It is a very comfortable sweater that fits perfect and looks great. This sweater is made of beautiful soft yarn, I recommended it.